you can not be successful or happy. Welcome to Mrs. Azzara's Website! As a school counselor at Black River Middle School, I assist students through their exciting, yet challenging middle school years. I work to create a warm and positive environment for the students where self-confidence, independence, and a sense of community are fostered. Whether students are meeting academic, social, and/or emotional challenges, I am here as a resource and a guide for students. What are some of the guidance services offered to the students? 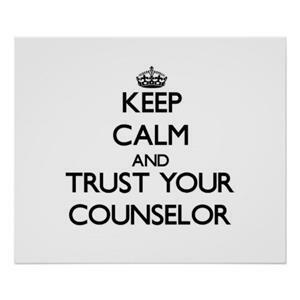 Individual counseling - Meeting individually with the students in a non-threatening, warm, and supportive manner. Group counseling - New Student Groups, Friendship Groups, Organizational/ Study Skills Group, Changing Families (separation, divorce, etc.) Group. Lunch Bunches - Bringing students together for fun conversation and games. Conflict resolution - Bringing students together to resolve conflicts and challenges in relationships to foster stronger connection, positive communication and to focus on solutions. I am also involved in coordinating many other school-wide activities - such as the U Matter Movement, Middle School 504 Coordinator, Member of the Intervention & Referal Services (I&RS) team, Week of Respect, Red Ribbon Week, Career Day, Middle & High School Transition, National Honor Society, NJASK/PARCC State Testing, the Senior Citizen Holiday Dinner Dance, Peer to Peer Tutoring, and the Peer Leadership Program. Black River Middle School is an amazing place to be. I am so happy to have the opportunity to work with your children! Please feel free to contact me if you need any assistance. I can be reached at 908-879-6363 ext. 6315.